The period drama is based on the public outrage that broke out when Birendra Krishna Bhadra was replaced by Uttam Kumar in the popular annual radio programme, Mahishasur Mardini. 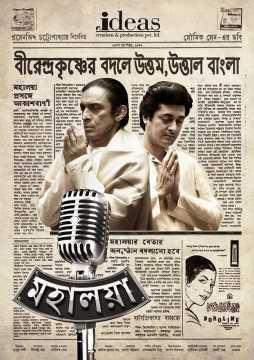 The trailer of Soumik Sen’s upcoming film Mahalaya is out. The period drama is based on the public outrage that broke out when Birendra Krishna Bhadra was replaced by Uttam Kumar in the popular annual radio programme, Mahishasur Mardini. The trailer shows the onset of the replacement that was evidently proposed by a non-Bengali businessman. Prosenjit Chatterjee, who is also the producer of the film, plays the character and throughout the trailer, his voice is heard and but his avatar is not revealed. He tries to make his way into the close unit associated with the popular programme through the character of Kanchan Mullick and gradually collects information about all the artistes, including Birendra Krishna Bhadra, played by Subhasish Mukherjee. He tells Mullick that there has been an instruction to make changes in the programme and manages to manipulate Mullick according to his demands. Initially, Mullick knows that Mahisashurmardini is organised with a host of star artistes of Bengal as per the tradition, but soon he is seen to be talking in the favour of Chatterjee’s proposal. 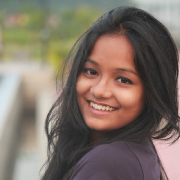 Bhadra doesn’t seem to be surprised with the proposal, but feels bad about the situation unfolding. While some of the organisers stand firm on continuing the tradition, Chatterjee’s character persuades them by claiming that they are afraid of innovations. Eventually, Uttam Kumar is chosen to chant the modified Mahishasur Mardini for his star persona, while Bhadra is ridiculed. While Kumar, played by Jisshu Sengupta, himself seems to be astonished with such a proposal, some of the old organisers warn that the new concept will face nothing, but failure. Chatterjee’s dialogue delivery doesn’t seem to bring alive the subtle manipulative nature of the character, but rather reminds of the negative characters that he essayed in the early days of his career. Mukherjee and Mullick appear extremely natural in their avatars; however, Sengupta’s chants do not really sound similar to that of Kumar’s. The trailer gives away most of the story, retaining only the chapter of the public outrage to be discovered by the audience. Mahalaya is slated for release on 1 March.